Taking part in the National Sporting Heritage Day couldn’t be easier. Here are just some of the ways you could get involved. Please let us know about any events you’re planning in connection with National Sporting Heritage Day. 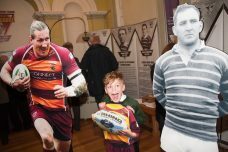 Exhibitions that bring in objects, archives, images, film and stories about sport are a great way to showcase a sporting theme, sport, sports person, or local sporting tradition. 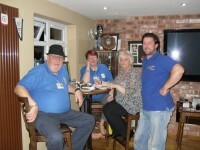 They’re also a perfect way to highlight the development of local sports clubs. They don’t have to be grand displays in museum settings (although that’s great!). They can be one off displays which last for a weekend and are held in a village hall, opportunities for the community to work together to create an exhibition and tell a local story, or the chance for a sports club to chart their history and development. 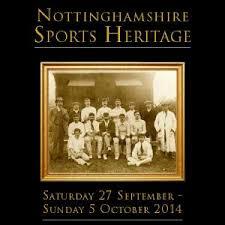 To celebrate your local sporting heritage on a grand scale, you could create a regional sporting heritage programme. 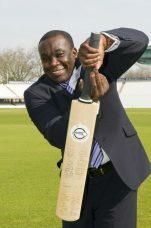 Nottinghamshire is a great example of how this type of activity can work. In 2014, the local authority worked to bring all organisations with a link to sporting heritage together for a series of discussions about how the event could work. 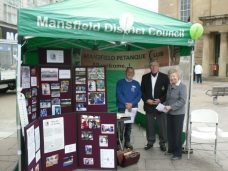 The organisations involved were varied and included local businesses, sports clubs, heritage venues, libraries, schools, and charities. The National Sporting Heritage Day has allowed us to work closely with so many different organisations to draw attention to the amazing sporting heritage of our region. There are many sporting traditions, milestone events, and local sporting folklore, and recreating one of these is an opportunity to not only understand more about the sporting past, but join together as a community, have fun, and learn! For example, Woodhorn Museum worked with local community groups, sports clubs, and schools to recreate not only a past sporting event, but the wider context of the days fashion, food, and entertainment and Seaham School of Technology in County Durham reenacted the WW1 truce between Germany and England. Ask the expert sessions are a great way to share knowledge about sporting collections and unearth amazing objects, images, and archives. These sessions help people understand how to care for their collections, uncover objects and stories that were previously unknown, and allow new audiences to access heritage venues. For example, the National Football Museum led a session and asked people to bring in their sporting collections. Objects brought in included this shirt signed by football legend Pele! Using the theme of sporting hero to base your activity on is a great idea. You could choose a famous national or local sports man or woman, a local sports man or woman who achieved against adversity, or several people who you feel haven’t been celebrated and whose stories should be told. There are many examples of community groups and organisations developing sporting heroes programmes and they are always popular and successful. For example Edinburgh Museums and Galleries conducted a campaign to vote for local sporting heroes, and schools up and down the country often choose this as the topic to base their sporting heritage activity on. Sporting heritage is a brilliant way to teach the curriculum inspiring children and young people to learn through the sporting past. There are lots of examples across the country of schools using sport to teach about transport and immigration, rights and women’s issues, local history and community development. 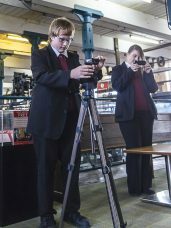 For more ideas about how to get your school involved, or if your would like to work in partnership with a school, download our factsheet from the resources section of this site. A really good way to get involved in the National Sporting Heritage Day is to hold an event or talk about your collections or work. 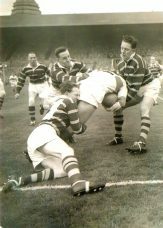 This could be a one off event during an afternoon that invited local community groups to join together to talk about their sporting heritage; it could be a reminiscence session using your collections to spark memories and stories; or it could be tour of a stadium or exhibition. You could host a talk about your collections; about the history of your club; about a local hero; or how a sport has developed over the years. Many collections which tell the story of the sporting past are not only held in museums and archives, but by sports clubs, community groups, and individuals. As a result, one of the best ways to create events, activities and exhibitions is to form a partnership between local organisations, communities, and heritage venues. This ensures that stories about sport are told from a range of different perspectives; that collections which may never have been uncovered are made available for public access; and that different organisations and individuals are able to work together to create a lasting partnership. The National Football Museum’s Our Sporting Life programme is a great example of this type of work. They developed a partnership with local young people and the resulting exhibition was created by then, for other audiences of the same age.